Like the helmet, not the car. 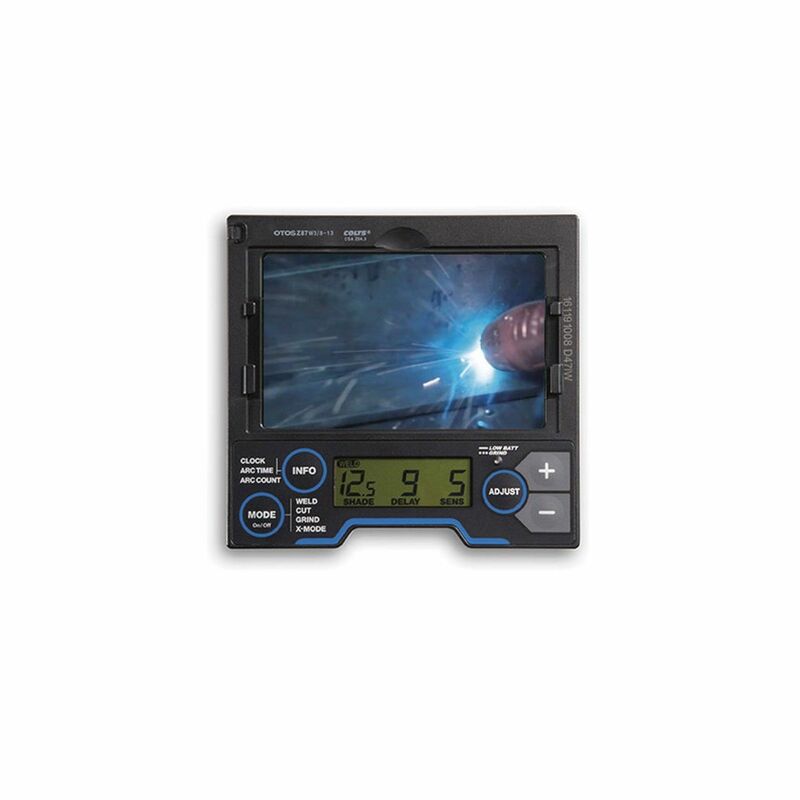 Looking through the 13.4 square inch display on the Miller Black Digital Infinity Auto Darkening Welding Helmet with ClearLight Lens Technology (271329) is like watching your brand new wide screen TV; only more entertaining. 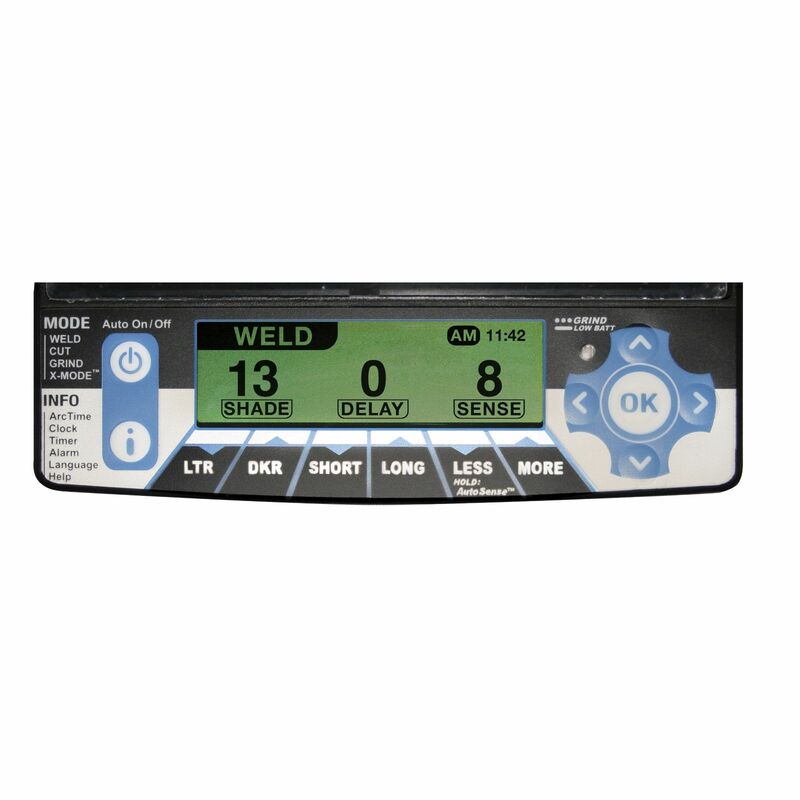 Four arc sensors and four modes (weld, cut, grind, and X-mode) ensure you're getting the most out of your hood while digital controls easily allow you to adjust shade, delay, and sensitivity. 5 stars - "Awesome" Emidio A. Great hood everything I expected. Light, comfortable, and great view. 5 stars - "Super fast shipping!!!" jose v. Really nice helmet like the big view. Big upgrade from a passive helmet. 5 stars - "Amazing gear." Chad S. By far the best helmet I've eccentric used. Shipping was quick and I was kept up to date on the shipping progress. Highly recommend for all your welding needs. 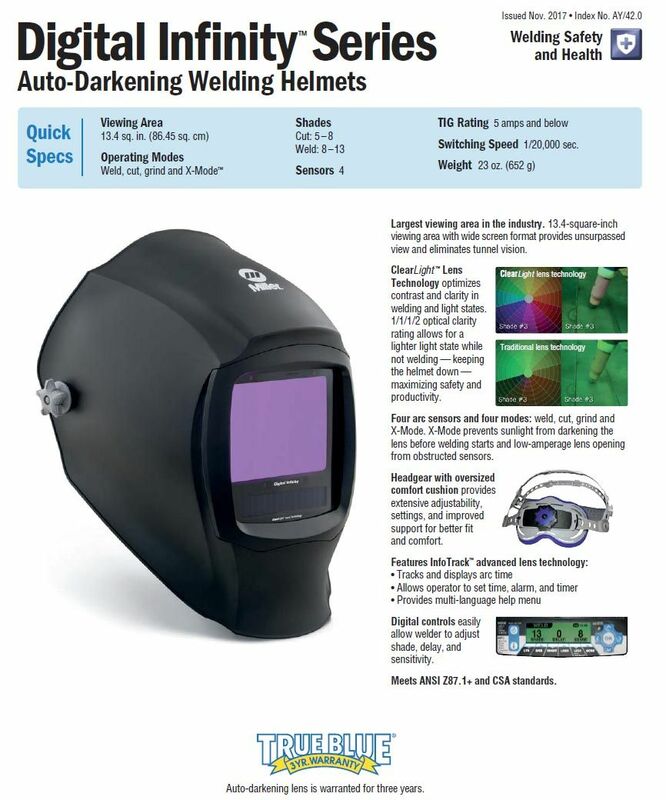 5 stars - "New Miller Infinity Auto Darkening Welding Helmet (271329)" Carl C. It is the most comfortable and usable Helmet that I have ever had and the viewing area is the largest on the market and it is fantastic.The new head bands adjustments is the very Best I have ever seen and the 4 sensors help those hard areas to see. Miller's Best and a little pricey but it makes your job less stressful and saver. 5 stars - "Miller Black Digital infinity Auto Darkening Welding Helet" Candace H. Excellent product and customer service. Helmet is light and great viewing space and comfortable. 5 stars - "Greate" Eazon Zhou Excellent. light and comfortable. 25 dollars cheaper than the one with painting..
5 stars - "Miller Digital Infinity Welding Hood" Guest Perfect good, great super low price and surprisingly fast shipping. 4 stars - "Slippery" Guest Not comfortable with the Wide adjustable rear head band.with long hair it tends to want to ride up, maybe I should get a haircut? Really like the view and adjustability Much better than the optrel 2.5 Vega view I purchased from you 1 yr ago.the lens in that one went bad. 5 stars - "Excellent" Guest I made two purchases so far from Welding Services from IOC and both times I have received excellent prices and customer service. I received the items with in two to three days from ordering them. Rick R.
5 stars - "Miller digital infinity" Guest Just as described, quick shipping. Recommended to anyone. 5 stars - "Thank you so much for" Guest Thank you so much for the prompt service! A+ outfit to do business with. Highly recommend! 5 stars - "Miller Black Digital Infinity Auto Darkening Welding Helmet (271329)" Guest Great product, fast shipping, great price and great communication! 4 stars - "Great helmet. Head gear takes" Guest Great helmet. Head gear takes some time to get used to. 5 stars - "Miller Infinity helmet" Jim I'm almost happy that my old Optrel Satellite started failing. I just bought the Infinity helmet and it's way better than the Optrel for many reasons. The viewing area is huge on the Infinity, but of course none of them were that big 12 years ago. I really like the LCD screen for adjustments, and the X Mode works perfectly for me since I'm not welding around other welders. I've experimented with the shutoff delay, but I guess I don't need it for TIG. It has an arc time recorder which I'll look at again once I run out of Argon, to get an idea of how long the gas lasts. The headgear is fantastic. 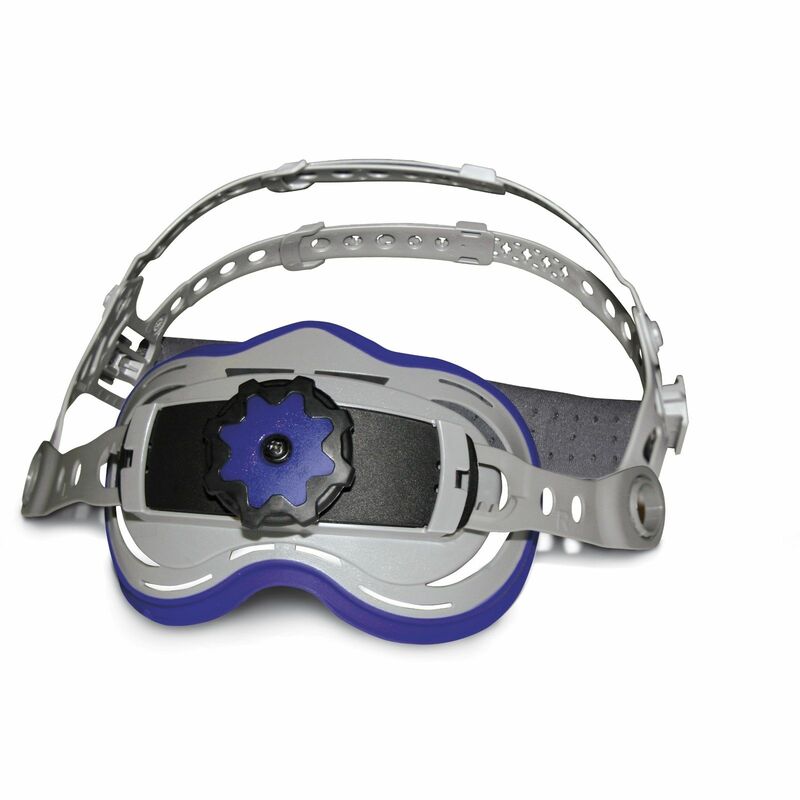 It has the typical padded forehead band, then two more bands over the top of your head. But then there's the 4th band with the large cup shaped piece that swings down and grabs the back of your head. It totally locks the helmet on your head, but it's real comfortable. It also comes with many outer replacement lenses and a couple of inner ones too. The included protective bag is real nice and definitely worth using too. My Optrel came in a freaking plastic bag. But wait, there's more! The extensive manual is a 1/2" thick, and it's all in English! None of that booklet crap folded 8 times, printed in 20 languages. The price of the Infinity was great, the shipping was free, and there's a $60 Miller rebate. That makes it come in under $200. That's really hard to beat now days. 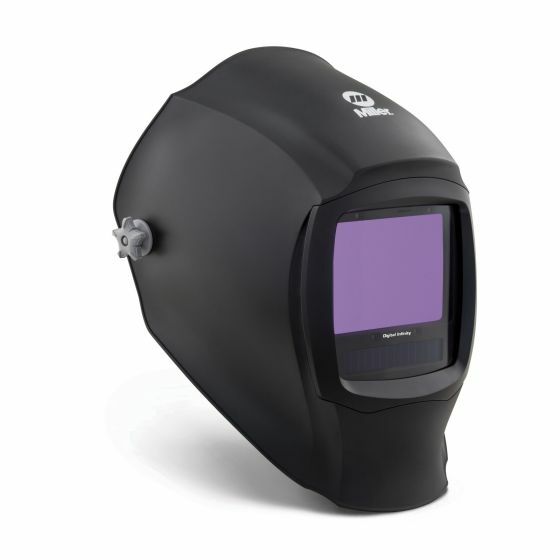 5 stars - "My husband loves this welding" Bill R. My husband loves this welding hood. However we were a little disappointed in not being able to use all the benefits right away. By the looks of the box, it was a returned item and the batteries had to be replaced before using. It was sold as a new item and should of had new batteries. 5 stars - "I purchased a Hobart pro" jeff p. I purchased a Hobart pro and returned it to this helmet. A lot more comfortable and bigger viewing area. 5 stars - "Miller Infinity helmet" Guest I’ve used my new helmet a few times now and I’m very satisfied with it. I’ve had two Miller digital elite before, but infinity is a big step up. Especially with the clear light technology! Thanks! 4 stars - "Great Hood" Rayan D. I'm happy with my purchase, the hood works great and the X-Mode feature is performs flawlessly. If I could change some things in this hood it would be the way you adjust the up and down selection on the head gear. On my Optrel e680 there is an external knob that I use with one hand to pan the hood up or down in out of position welding. This hood has the old style side click adjustment that I still can't seem to work. The second would be the transition from the up lock position to the down welding position when your ready to weld. Since the hood is on the heavy side it really slams down when you nod your head down to drop the hood. Last would be the weight of the hood but I do understand the generously large viewing area of the ADF is the main cause of it. Last would be the framing to lock the outside plastic shield is a bit difficult yo remove to replace the external clear protective lens. Also if your doing alot of over head welding the frame design will not allow the Sparks and dropping slag to roll off the hood it will just accumulate on the outside clear lens. Pros: The viewing area is Awesome and the light state of 3 makes it better. The X-Mode feature is excellent and prevents regular light from activating the ADF. 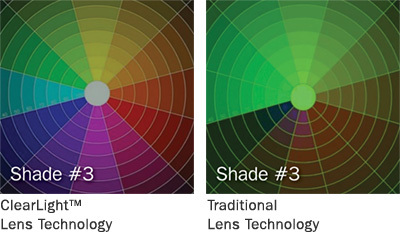 The clear light technology does help you read the arc and puddle characteristics better. Head gear is comfortable. The ADF additional features such as arc time, alarm etc is nice to have and I did put it to good use.